The 2016 US Open was the 136th edition of tennis' US Open, the fourth and final Grand Slam event of the year. 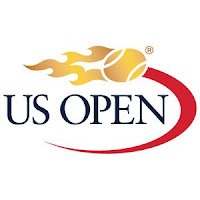 It took place on outdoor hard courts at the USTA Billie Jean King National Tennis Center in New York City. The tournament was an event run by the International Tennis Federation (ITF) and was part of the 2016 ATP World Tour and the2016 WTA Tour calendars under the Grand Slam category. The tournament consists of both men's and women's singles and doubles draws as well as a mixed doubles event. There are also singles and doubles events for both boys and girls (players under 18), which is part of the Grade A category of tournaments. Angelique Kerber from Germany has won the 2016 US Open women’s singles title. In the final match she defeated Karolína Plíšková of Czech Republic Karolína Plíšková by 6–3, 4–6, 6–4 score. Jamie Murray (United Kingdom) and Bruno Soares (Brazil) won the 2016 US Open men’s doubles title. In the final match, they defeated Spanish pair of Pablo Carreño Busta and Guillermo García-López by 6–2, 6–3 score.